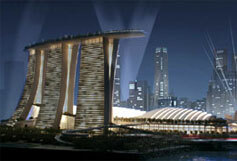 Three towers of the Marina Bay Sands’ five-star hotel soar 55 floors into the air, and contain 2,600 rooms and suites, along with a variety of restaurants, bars and entertainment. 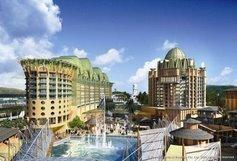 Resorts World as Sentosa offers 1,800 rooms, spread across six hotels of different themes. 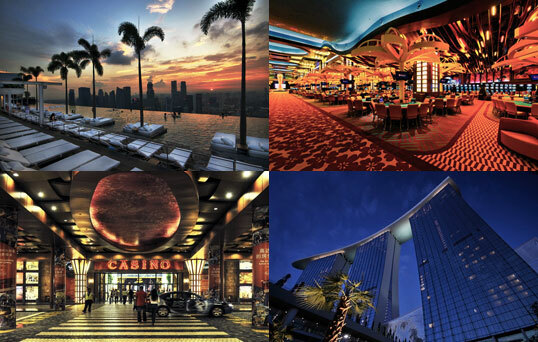 Topping the list are Crockfords Tower, Hotel Michael and Singapore’s very own Hard Rock Hotel.